Harrison Station – Chicago, IL – COMING SOON! 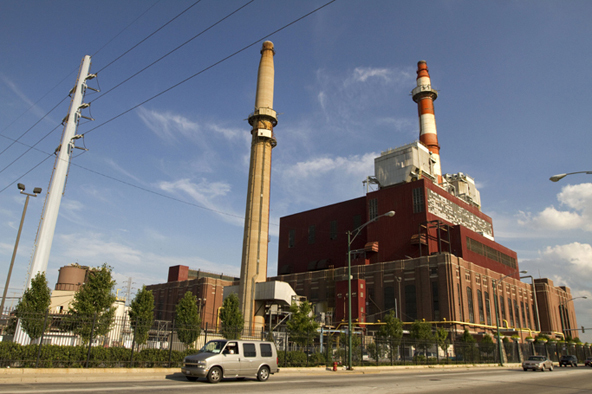 The Crawford Generating Station first began generating in 1924 in Chicago’s Little Village neighborhood but did not officially launch until May 1925. The plant continued to expand through 1961 and now provides electricity to 638,000 households and employees nearly 109 people in the Chicagoland area. Our operation consists of two dual fuel, coal/gas-fired steam generators, and utilizes natural gas for ignition/start-up. Boiler water make up is demineralized from water supplied by the City of Chicago. Condenser cooling water is taken from the Chicago Sanitary and Ship Canal. County Station in Romeoville. The barge towing company delivers three to four barges daily and removes empty barges. Natural gas is delivered by People’s Gas. 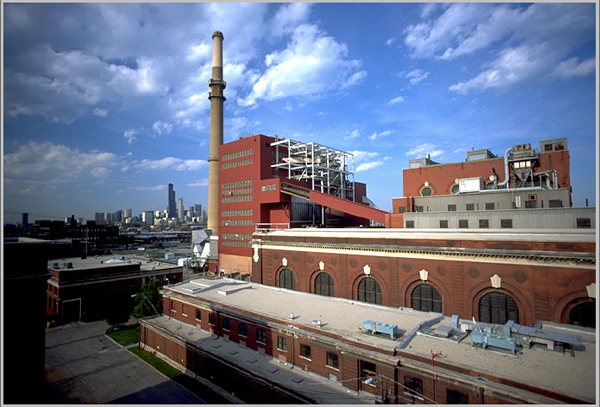 The Fisk Generating Station was first built in 1903 in Chicago’s Pilsen neighborhood, occupying nearly 60 acres. Our plant provides electricity to 381,000 households and employees approximately 70 employees from the Chicagoland area. Boiler water make up is demineralized from water supplied by the City of Chicago. Condenser cooling water is taken from and returned to the South Branch of the Chicago River. Coal is delivered by barge via the Chicago Sanitary and Ship Canal. Fisk has no ground storage and receives its coal on a “just in time” basis from its sister station in Romeoville. The barge towing company delivers two to three barges daily and removes empty barges. Natural gas is used for ignition and combustion support and for full boiler operation, if desired.